In the late 1960’s, a popular appliance brand produced a t.v. commercial featuring an appliance repairman instructing his new recruits to keep playing cards, beadworking materials and crossword puzzles in their tool box because their appliances were so good he had nothing to do. At the end of the commercial he declared “he’s the loneliest man in town.” The idea was that the appliances he sold were so dependable and durable that his services were never needed. In the late 60’s and even before that time, this commercial could have been very true as appliances were built to last 20-30 years and some lasted even longer. Fast forward to today. You would think that if they could build them that well in the past, that with today’s technology, appliances should be a once in a lifetime buy. Unfortunately, that’s not true. Appliance repair people and even sales people will tell you that most appliances are built to last a much shorter period of time today. Considering how expensive they are with all their bells and whistles and the potential for much more to go wrong with them, most people would rather repair an appliance than go to the expense of replacing it. Not only that, the number of appliances that are available to buy (and fix) has greatly increased over the years creating an employment niche that guarantees that repair technicians will never be lonely, in fact, they will be viewed as heroes in the eyes of those they help. You won’t be found sitting around blowing bubbles, making sailing ships out of empty coke cans or making post-it note mohawk hair-do’s for your head. You certainly won’t be lonely. 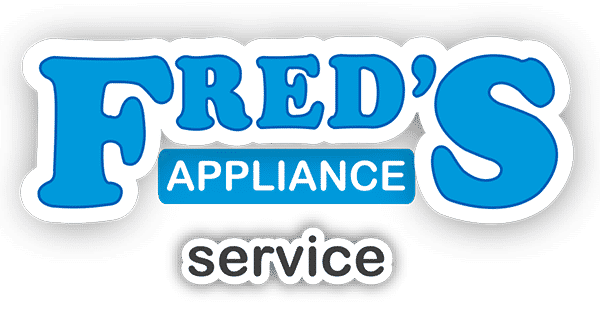 Fred’s Appliance Academy’s 3 week program trains you in basic appliance electricity, microwave ovens, gas and electric dryers, gas and electric ranges, front and top load washers, dishwashers, garbage disposals, trash compactors, refrigerators, freezers, and ice makers. At the end of your training, not only will you be prepared to enter the world of appliance repair, but you will be NASTeC (National Appliance Service Technician) certified which will open the door for you to work as a professional appliance service technician. There is a lot of job security that can be found in this field because appliances are here to stay. No one wants to go back to beating their clothes on a rock, storing their perishable food in a root cellar or cooking over an open fire. There will always be appliances and they will always be breaking down and needing repair. It’s a sure bet! 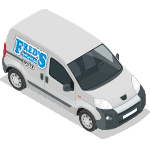 To find our more about appliance technician training through Fred’s contact us today and get started on what can be a very satisfying and meaningful career.